We are now finally into Autumn and I couldn't be any happier. The transition from Summer to Autumn is my favourite, particularly because of the change in makeup. 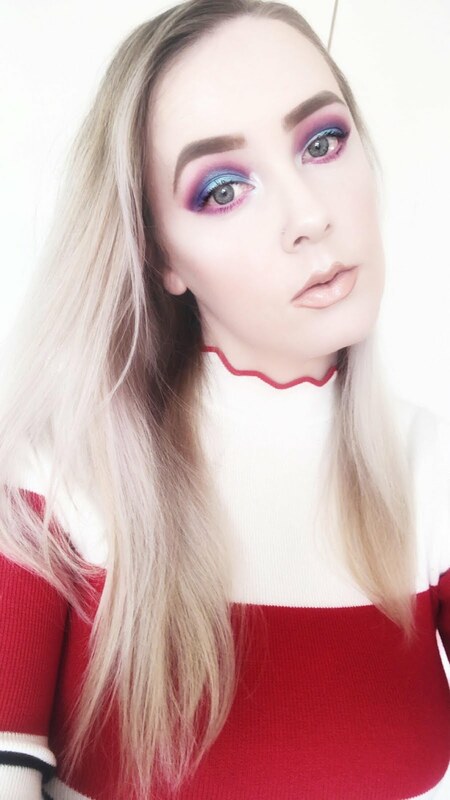 In the summer I tend to go for a bronzed, dewy look with pink and bronze tones on the eyes but once Autumn arrives all of that goes out the window. For Autumn I like to add some depth and warmth to the eyes and tons of highlighter, but then again, highlighter is a must throughout the year. This season I will be focusing more on the eyes. 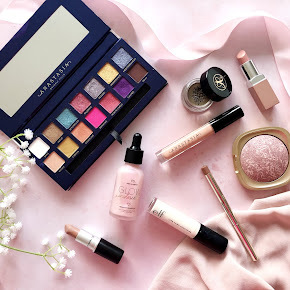 I am so into my eye makeup lately and I love experimenting with different eye looks so I thought now would be the perfect time to show you the eyeshadow palettes that I will be opting for over the next few months. 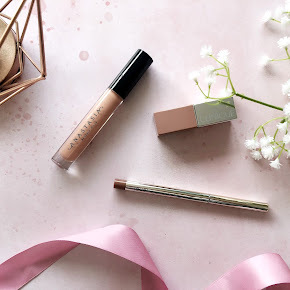 I haven't delved much into Charlotte Tilbury, as much as I've wanted to. 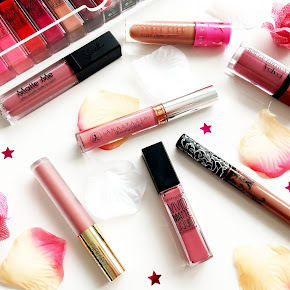 The products are so dreamy, particularly their eyeshadow palettes and lipsticks. I have the Vintage Vamp Eyeshadow Palette(£38) and boy is it a beaut. It contains four shades for different purposes; to prime, enhance, smoke and pop. I use every single eyeshadow and follow every step and the end result is a beautiful burgundy smokey eye. The eyeshadows have a gorgeous silky, buttery texture and they blend like a dream, not to mention they are so pigmented. It is a teeeny bit expensive for £38 but I find it is a small price to pay for such a top quality eyeshadow palette. Onto my favourite discovery of the year, the Anastasia Beverly Hills Modern Renaissance Palette(£41). Now this particular eyeshadow palette was actually a Summer launch but it is the epitome of Autumn, with the majority of the shades being warm toned neutrals. I love that it is predominantly a matte palette too as some palettes tend to have more shimmers than mattes within. It's a good change. I used the Modern Renaissance Palette so much throughout the summer but I'll be using it a lot more this season too. My favourite eyeshadows are Realgar, Burnt Orange, Red Ochre, Love Letter and Venetian Red. The formula of these shadows are incredible. They're easy to apply, crease-resistant and highly pigmented. This palette has everything you could ever need for an autumnal eye makeup look. Unfortunately it is so in demand in and out of the UK that it's out of stock everywhere. If you want to know more and see swatches of all the eyeshadows then take a peek here at my post. I find the most versatile of all of these palettes to be the Zoeva Cocoa Blend Palette(£18), with a collective of 10 stunning metallic, shimmer and matte shades in warm toned hues. They are insanely pigmented, especially the more shimmery shades, although the mattes are of good quality too, bar one. I like to use the shades Substitute for Love and Freshly Toasted to warm up the crease and Pure Ganache or Warm Notes all over the lid. That is my favourite autumnal makeup look using this palette. To learn more about this eyeshadow palette then you can take a look here, with swatches too. 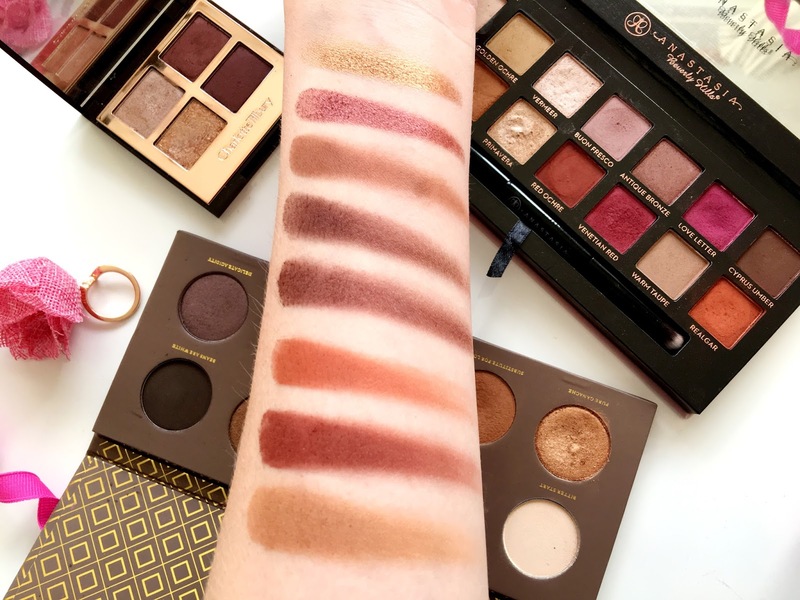 To give you an idea of what to expect from these palettes and my favourite shades within them I have included some swatches from each palette, rather than swatching them all individually for you. The first three are from the Cocoa Blend Palette. From top to bottom are Pure Ganache, Warm Notes and Freshly Toasted. Then from the Vintage Vamp Palette I have included the Smoke and Enhance shades. And the last three are from the Modern Renaissance Palette called Realgar, Red Ochre and Burnt Orange. 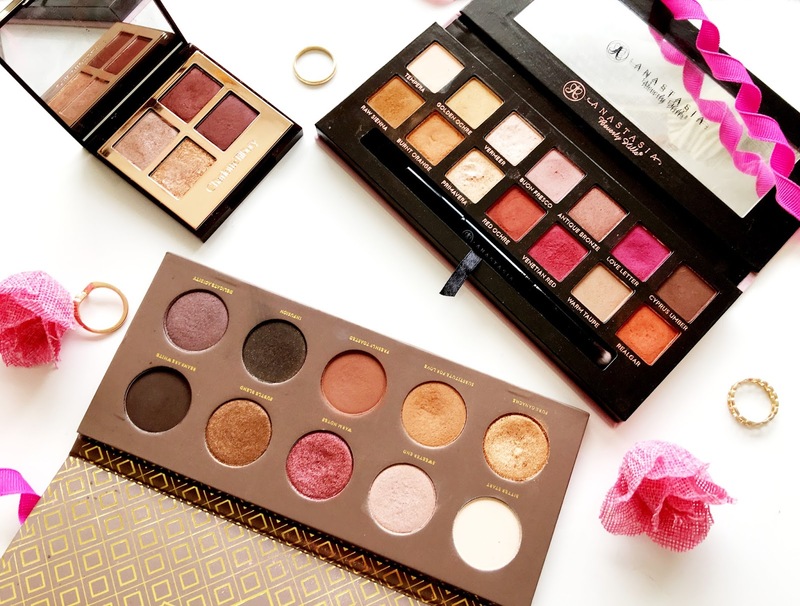 What are your favourite Autumnal Eyeshadow Palettes?